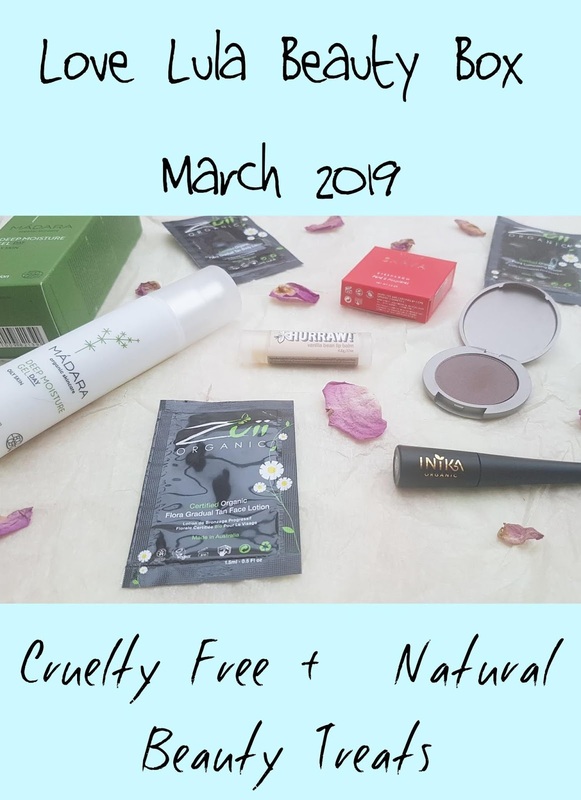 The March edit of the Love Lula Beauty Box got everyone talking over in the LL Natural Beauty Club this month -- some LOVED it, some were totally opposed, but I think it is safe to say that everyone found at least one product inside that they loved. And that is the joy of this subscription box. There is always something for everyone! More often than not, the Love Lula Beauty Box contains a mix of skincare products, and while I adore getting new skin treats every month, they can pile up a bit so I personally find it really refreshing when they totally switch things up. That's just what happened for the March edit -- subscribers were surprised by a very fresh take on the box, with just one skincare product ideal for the changing seasons plus three makeup items and a handful of sample sachets. So let's take a look, shall we?? I love the Inika brand, and the majority of my makeup is actually from their range. Not only is everything certified organic, but it is just great quality and has fab lasting power in my experience. 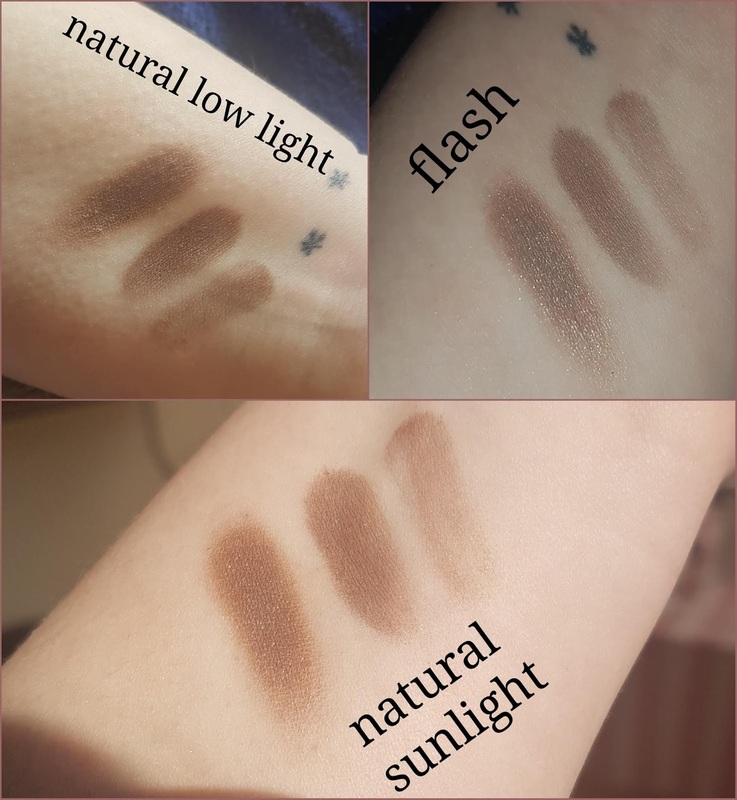 I haven't done too many makeup related posts here on The ecoLogical, but one of the few I have shared was actually a full face of makeup using just Inika products. 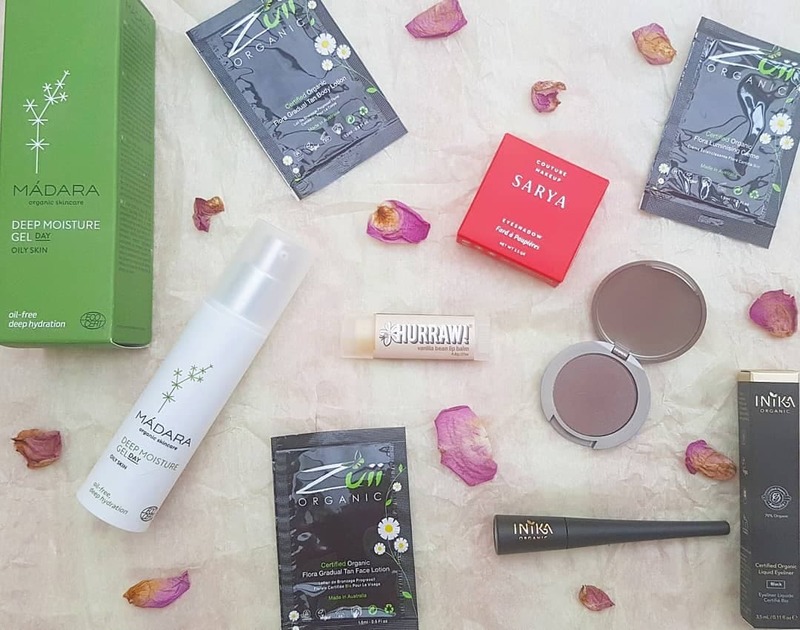 That being said, of course I was pleased to see a full size item from Inika in the March edit of the Love Lula Beauty Box. I am not particularly skilled at applying liquid eyeliner, but I do like to have at least one in my makeup bag for special occasions or the few nights out a year I go on. And I always choose black, so I was very happy to see that this classic shade was what we got. 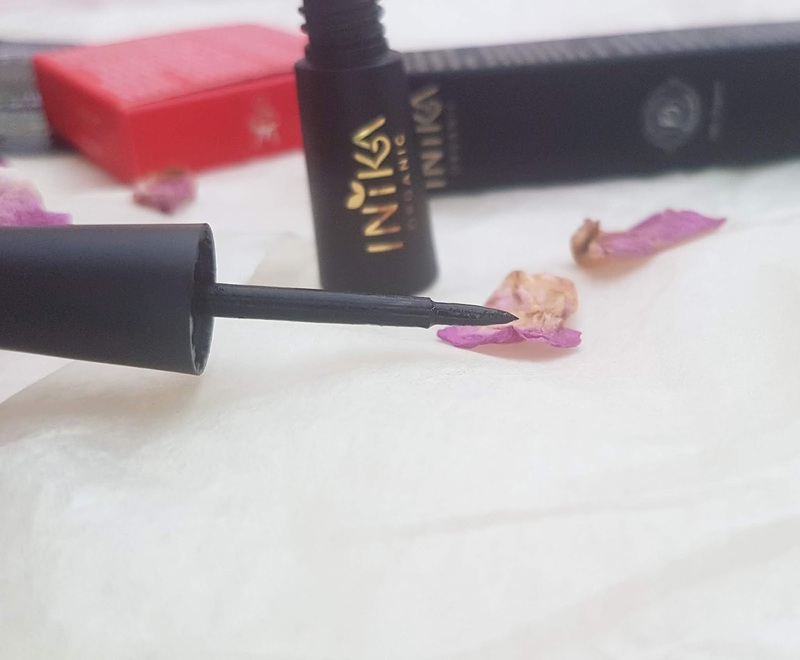 The Inika Organic Liquid Eyeliner contains aloe vera, black tea leaf extract, and mineral pigments, and is free from harsh quick drying alcohols. Plus, it's vegan friendly! I think the price is fair and pretty on par with some of the popular brands, and since it is better quality, better ingredients, and there is no animal cruelty, it is most definitely worth it. The formula "provides intense, long lasting and smudge proof, and features an ergonomic handle for easy application." I think the colour is a great shade of black, very rich and pigmented, plus I found it lasted all day without budging. I haven't played around with it too much yet, but the few times I have tried it out I have been well impressed and am very pleased we got this in the March edit. Like I mentioned above, I have quite a few Inika goodies in my collection (many of which you can find reviews of or at least snippets of here on The ecoLogical!). Some of my favourites are the lipsticks and the loose mineral eyeshadows. 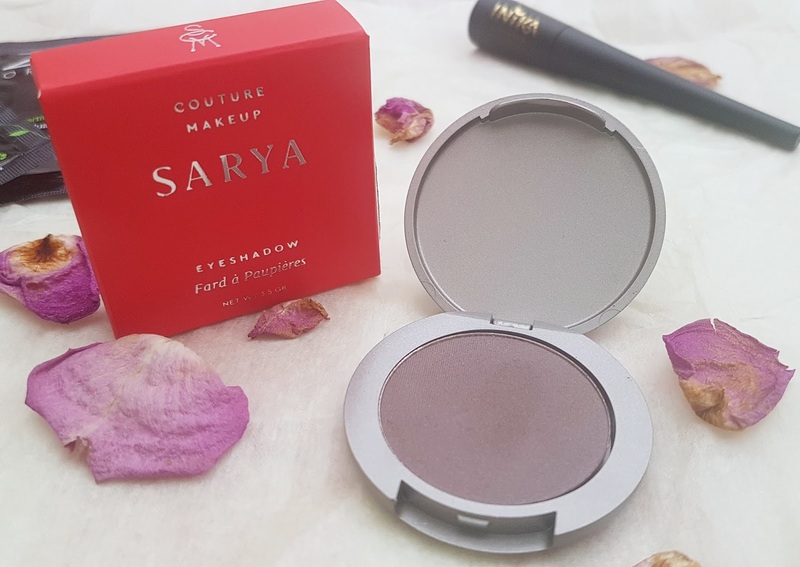 I was happy to see a brand not featured previously in the Beauty Box in March's edit: Sarya Couture Makeup. This Italian range is certified organic and uses only natural ingredients that work to give highly pigmented, long lasting formulas. Right now, Sarya Couture Makeup has a line of lipsticks, eyeshadows, and vegan brushes, all of which are available on Love Lula. Inside the latest box was the Organic Eyeshadow in the shade Mocha. While the shade is a wee bit too dark for my everyday look (I tend to go for lighter ones: champagnes, coppers, and just overall cool tones), I am definitely going to have a play with it as the depth of colour is really great and I love that it has a bit of shimmer to it. I'm a sucker for anything with some sparkle, so I think this will be great for a smoky eye if I ever manage to perfect that look. Sarya's eyeshadow is very buildable, and it blends nicely as well. 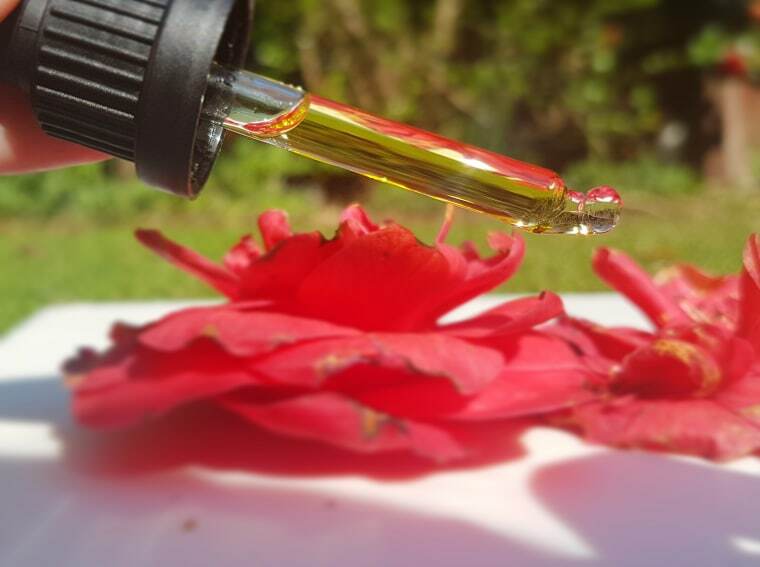 In fact, if I only use a tiny bit and blend it out, it gives a lovely lustrous sheen without the darker colour payoff -- perfect for more regular use if you aren't so keen on the shade. Mocha can give a subtle glow with a bit of work, or you can go for the more full on pigment with just a swipe of your eyeshadow brush. This is my first experience with Sarya Couture Makeup, so I don't have any tried and trues yet! However, I could be tempted to pick up the Vanilla eyeshadow or maybe one of their lipsticks. Hurraw is another brand I was already familiar with, and I was super excited to see each subscriber would be getting a tube of this fab stuff. These are more than your average chapstick, which is why Hurraw landed my top spot for Best Lip Balm of 2018. Each that I have tried packs a powerful moisture punch, soothes irritated and dry skin, and smells absolutely lovely. I was crossing my fingers for my favourite Moon Night Treatment, but rather than being disappointed when I opened my box to a different variety I was actually pretty pumped -- vanilla bean is a love of mine! "Hurraw infuse raw, organic Madagascar grown vanilla beans into this balm, making it the most deliciously smooth treat for your lips. The tiny vanilla bean seeds that stay behind create a delicate, heavenly vanilla scent." I have to say, it truly is a delightful scent -- it is so warming and comforting, and brings a sense of calm and joy when you pop the cap off and the aroma hits your nose. 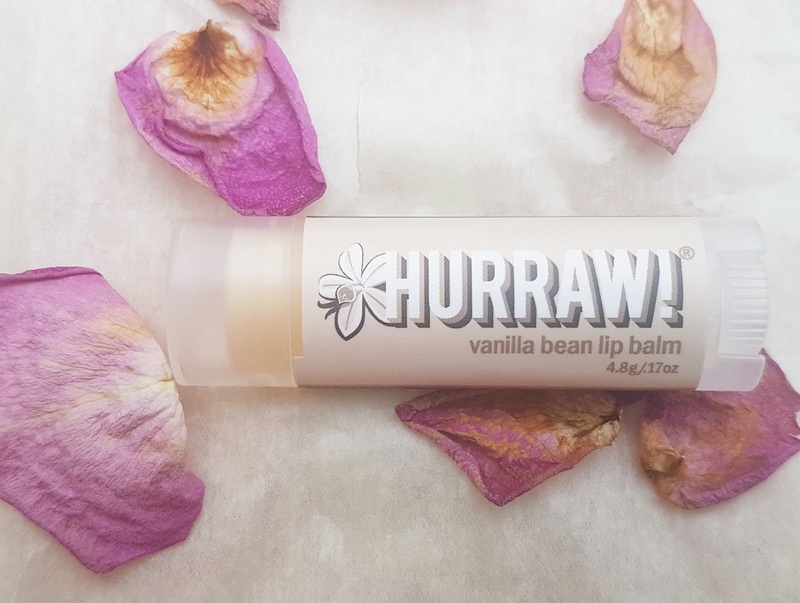 I was thrilled to discover another favourite Hurraw balm, and will definitely enjoy every moment with this delicious lip treat. I have tried a handful of these balms, some of which you can find reviews of here on The ecoLogical. Two of my favourites are the Moon Night Treatment and the Papaya Pineapple scent, both of which are available on Love Lula. Next up in the March edit of the Love Lula Beauty Box is a full size treat from Madara. The Deep Moisture Gel is an oil-free 100% natural day formula that promises deep hydration and a shine free finish. This lightweight moisturizer uses sage and northern oak bark extract to help reduce the appearance of pores, balance oily skin, soothe irritations, and offer more moisture without troubling combination skin. 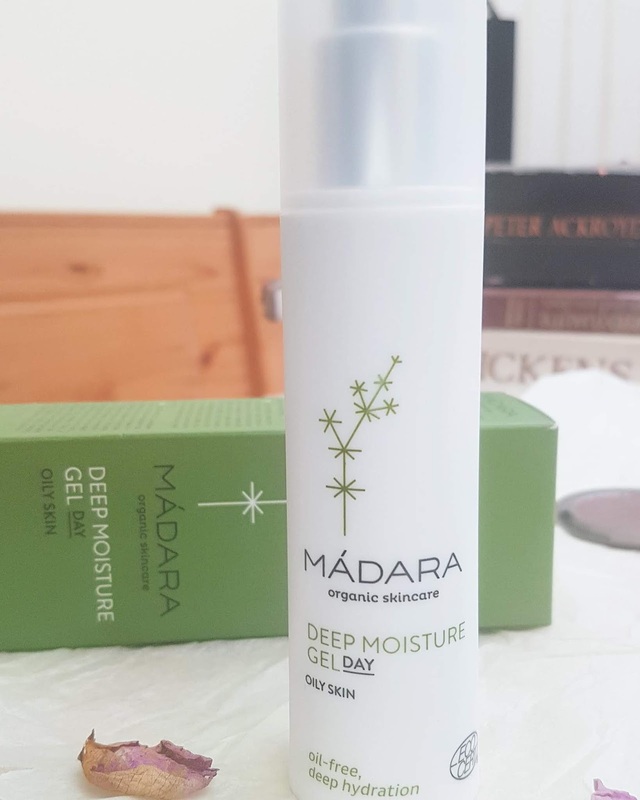 I love that more and more non-clogging alternatives to day creams are popping up on the market, and I have to say that the Deep Moisture Gel was a great find for me personally. I struggle with creams more often than not (though I have found a few that work even with my fussy skin! ), so having something so silky and simple will be a lovely change for my skin as the weather gets warmer. As the seasons change, my skin definitely requires less oil-based products, especially during the height of the day, and I can see this becoming a staple in my skincare routine. I often struggle to love the scents from Madara products, but I'm pleased to say this one immediately won me over. It has a faint aroma of banana (from the plantain leaf extract possibly??) and has a subtle sweetness to it that is just so summery and makes me think of islands and gentle sea breezes. Seriously, why can't all products smell like this?? The gel itself is quite cooling, glides on like a dream, and sinks in fully after thirty seconds or so. It is not heavy at all, yet I could tell my skin was getting a wonderful hydration boost from the product thanks to the natural hyaluronic acid and soothing actives. I'll definitely be curious to see how my skin fares longer term! An update will definitely be in order later down the line. I have tried a LOT of Madara products thanks to Love Lula. You can find my thoughts on various formulas by clicking the "Madara" tag at the bottom of this post if you are interested in reading more about the brand and what they offer. One of my stand outs is the Active AHA Brightening Peel Mask, and also the Smart Antioxidants range which works amazing on drier and more mature skin types. 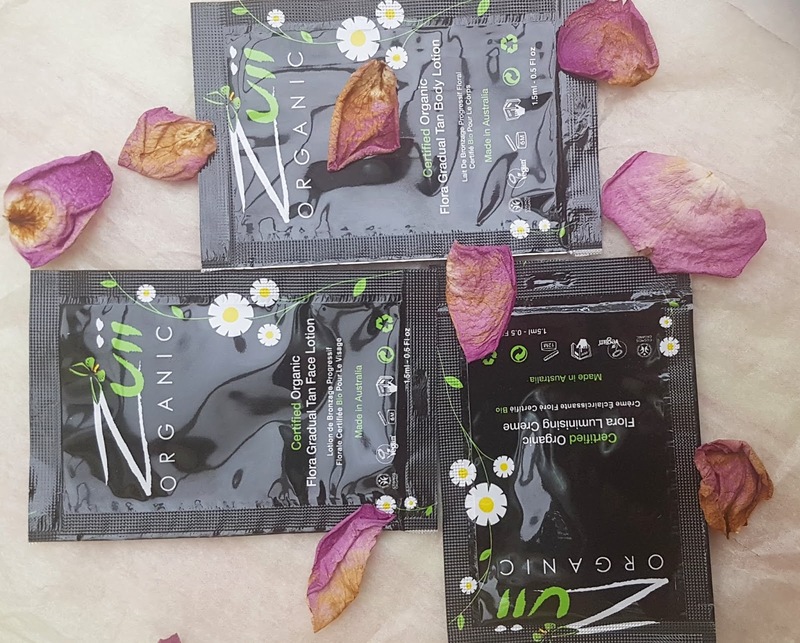 Zuii Organic is a certified organic and vegan friendly self-tanning and skincare brand from Australia. Their range consists of body care products like gentle exfoliation treatments, a variety of self-tanning formulas like foams, oils, and lotions, tanning tools, and all things related to getting that natural glow. "Certified Organic Bamboo Juice is one of the range's signature ingredients, chosen primarily for its sustainability and environmental promise. Bamboo is the fastest growing and strongest botanical resource on the planet. The invigorating, moisture-rich product range was made by combining Bamboo with nutrient and vitamin enriched plant-based ingredients such as Lichen, Moss and Fern." and b) I am just so rubbish at applying self tan it 9/10 is uneven or streaky. I think I will hold onto these until the summer season truly hits, and then I may experiment. Until then, I would love any tips or tricks you have for applying self tan! How do you know if it is the right shade for you? How do you make sure it is applied evenly?? Let me know! Unsure, as this is my first experience with the brand! The products I had my eye on are actually all non-tanning related -- the Certified Organic Flora Powder Glow Highlighter and the Certified Organic Flora Hydrating Body Polish were top of my list from the brand, and I was hoping to review those for you leading into the sunnier days. There was a bit of a mix up though, and I've actually got a ton of their tanning products instead *gulp* so I am trying to figure out what to do with all of them. Again, any tips and tricks appreciated, as I'm just so inept with self-tan. The box total was £70 this month, which is as fantastic as always and offers a huge savings to subscribers. Not only did we get all four full size goodies (and the samples!) for a fraction of the price, but we also get the benefit of an exclusive brand discount. If a particular brand caught your eye in the March edit, you can get a 25% discount on that entire range! Unfortunately, the March box is no longer available as you must subscribe prior to the start of the month, BUT if you are quick you can get your order in in time for April's collection. I for one am excited to see what the next edit brings, especially after so many lovely surprises in this one. Want to see past edits before you decide? Well, you can find all of last years here! 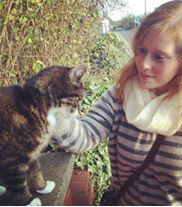 What would I like to see in the future? Hmm... Well of course I would love to see more all natural and nontoxic formulas, including bath goodies, a face mask, some more makeup bits (though perhaps consultation on shade would be a good idea? ), a gentle cleanser, a candle, and maybe even some personal care products like body gel, hand soap, or some stuff for shaving. I feel we haven't seen too many of those in a while, so it would be a great way to continue to mix things up. It seems like a great box full with goodies.